In "The Resurrection Appearances of Jesus" — Chapter 35 of Dembski & Licona's Evidence for God — Gary R. Habermas announces he "will list ten considerations that favor Jesus's resurrection appearances." Most of this appears to be "eyewitness testimony", but four of these ten considerations are accounts given by Paul in the New Testament. This is eyewitness testimony recorded by one man — a convert whose conversion was so cataclysmic that its location gave its name to such conversions: Damascene. It's well known that converts are often the most devout, the most zealous — consequently their pronouncements are to be regarded with a degree of caution. Throughout this essay, I will not assume the inspiration or even the reliability of the New Testament writings, though I think these doctrines rest on strong grounds. I will refer almost exclusively to those data that are so well attested that they impress even the vast majority of non-evangelical scholars. Each point is confirmed by impressive data, even though I can do no more than offer an outline of these reasons. If he's not assuming the reliability of the New Testament writings, how can he use them to support his case? We must be clear from the outset that not only do contemporary scholars not mind when points are taken from the New Testament writings, but they do so often. The reason is that confirmed data can be used anywhere it is found. But of course he's not going to use any data that supports a contrary case, only implicitly asserting that it inhabits tiny spaces left over when he says "...the vast majority of non-evangelical scholars", or "...comparatively few skeptical scholars...", or "Few conclusions in current study are more widely held by scholars...", or "Most scholars who address the subject think that...", or "...scholars usually agree that...", or "Virtually no one, friend or foe, believer or critic, denies that...", or "It is almost always acknowledged that...", or "...the vast majority of contemporary scholars conclude that..."
Habermas's case appears to be a "resurrection of the gaps" argument. He claims there's no natural explanation for the post-mortem appearances of Jesus, and that therefore Jesus rose from the dead. First, this is an argument from ignorance, and second, the burden of proof is on those making the extraordinary claim. The evidence from scripture is shaky at best: note that there are no eyewitness accounts of Jesus actually rising from the dead — it's all post hoc supposition, with Habermas and other apologists filling in the gaps themselves with events they want to believe happened. It's not up to anyone else to disprove the resurrection, because it hasn't been sufficiently established to begin with. I can't account for what goes on in the mind of a religious zealot, but I am highly suspicious of any extraordinary event reported by eyewitnesses. Eyewitness accounts are notoriously unreliable, and if those accounts are mostly reported second-hand by one individual with his own agenda we have good reason to be skeptical. I may not personally have a definitive explanation for the scriptural accounts, but I don't need one. As far as I'm concerned there's nothing to disprove. Daniel Smith Sam, some Christians argue that language of hell and eternal torment is figurative for cessation of existence; it does not refer to literal conscious torment for eternity. This view is called annihilationism. Other Christians, like myself, take the imagery of hell (fire and brimstone, etc....) to be symbolic. After all, it is difficult to see how there could be "outer darkness" in a literal furnace, so one of these texts at least must be understood non-literally. if humans were made for relationship with God, then to be separated from God for eternity would be a type of torment, albeit self-inflicted. And as you guessed others, perhaps most, think that a literal furnace exists where the damned suffer eternally. Point being, there is a range of views, and the issue is not at all settled, especially between the second and third conceptions of hell. Paul Jenkins ‎@Daniel, this is why I find religious language unhelpful. If someone threatens to beat me to a pulp, and I interpret that "figuratively" as nothing more than a threat to scowl disapprovingly at me, at the very least this indicates a failure of communication. I think your language is just as unhelpful. Figurative language is not "religious language." It's jut the way humans communicate. I don't say that I find scientific language unhelpful because "the sun rose at 6:53 A.M." is not literally true. Or at the end of a long day of work, "I am dead tired" is not literally true. Or "sometimes my wife has to whip me into shape," is (usually) not literally true. The fact that religious texts use language which all of us use every day is neither a defect in religion nor in religious language. If someone threatens to beat you to a pulp, you take them literally in that you think they literally will beat you, but not literally "to a pulp." So even this implies a bit of figurative speech which needs to be interpreted. Easy to point the finger at religion, though. Maybe you should acknowledge that things just aren't always as clear as you want them to be. I acknowledge that things aren't always as clear as I'd like, and that there is a difference between being "beaten to a pulp" in the figurative sense and being beaten to a pulp in an electric blender. Both the figurative sense and the literal sense, however, would involve blood and mangled flesh rather than, say, superficial bruising. Therefore I maintain that my figurative use of "beaten to a pulp" is a legitimate use of language that conveys my intended meaning with a degree of accuracy. This cannot be said of the difference between "literal conscious torment" in the "fire and brimstone" of a literal furnace on the one hand, and "cessation of existence" on the other. The two are not remotely comparable. The claim that one is a symbolic expression of the other contributes more to obfuscation than clarity. Daniel Smith Therefore you maintain that your use of language, while not literally correct, is correct enough in the context you're using it and for the audience you're communicating with. I agree with you that annihilationism does not seem to be what passages about fire and brimstone teach. That view is based on other passages. Nevertheless you've conceded the most important thing: that figurative language is constantly is use. This makes it difficult to criticize the Bible on the basis that there are debates about what some passages contained therein really mean to say. I mean, we have the same debates in America about the constitution. This must prove that political language is totally worthless and imprecise, right? I do concede that figurative language is in constant use — it's part of what makes conversation interesting and expressive, and it certainly doesn't make political language worthless (although it can adversely affect its precision). But if "fire and brimstone" is figurative or symbolic language, and annihilationism is "based on other passages", at least one of these must be wrong, and in either case the language used to justify them is, indeed, unhelpful. Labels: annihilationism, Facebook, Hell, religious language, scripture, Unbelievable? I'm unsure why the "empty tomb" is supposed to be a big deal. If an inanimate object is placed at a particular location, and is subsequently not found where it was placed, one does not normally jump to the conclusion that the object moved of its own accord. Being inanimate, incapable of independent locomotion, the object — or rather its lack — is most likely to be explained by having been moved by a person or persons unknown. If the location in question is a tomb, and the object a corpse, the most plausible explanation for the corpse's absence is that it's been stolen. Fourth, most recent scholars seem to agree that, while Paul does not explicitly mention the empty tomb, the early tradition that this apostle reported to others in 1 Corinthians 15:3-4 implies an empty tomb. The listing of the Gospel content moves from Jesus' death, to his burial, to his resurrection from the dead, to his appearances. This sequence strongly suggests that, however it may have been transformed, Jesus' body that died and was buried is the same one that was raised afterwards. Thus, what was placed in the ground is precisely what emerged. In short, what went down is what came up. Such a process would have resulted in the burial tomb being emptied. That Paul does not specifically mention the empty tomb keeps this from being as strong a point as it could have been. Still, to say so clearly that Jesus' dead body was buried, raised, and appeared would be a rather strange process unless the tomb had been vacated in the process. Habermas is implicitly using the empty tomb as evidence for the resurrection of Jesus (that's presumably why this chapter is included), but the paragraphs quoted above appear to use accounts of Jesus's post-mortem appearances as evidence for the tomb being empty. Do I need to point out again that this is a circular argument? Then Habermas uses the well-worn trope of "would they die for a lie?" without examining the possibility that disciples might very well die for a delusion if they were sufficiently indoctrinated. The fact that the disciples were prepared to die for their beliefs has no bearing on whether those beliefs were true. It does seem likely that the tomb was empty, but this only shows that the tomb did not contain a body. I find this unremarkable, and I'm at a loss to understand why Habermas is even concerned to establish it. Too bad I didn't get that chance to ask him myself. Pinkish grey and vaguely reminiscent of an oversized walnut, the human brain is composed of brainy stuff, which allows it, by means that are far from fully understood, to do brainy stuff. Currently screening on BBC Four TV this week (and available on iPlayer) this year's Royal Institution Christmas Lectures are delivered by Professor Bruce Hood, who is inviting us to "Meet Your Brain". The Christmas Lectures 2011 - Trailer from The Royal Institution on Vimeo. There are lots more videos relating to the Christmas Lectures on the RI Channel, including some snippets recorded well before the lectures themselves. Worth a browse. 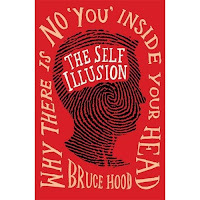 As an unexpected bonus, Professor Hood's new book The Self Illusion — not due to be published until April 2012 — is partly available as a free Kindle download from Amazon (remember you don't need a Kindle to be able to read Kindle ebooks — there are free software readers for Mac, Windows, iOS and Android). The last time brainy stuff was the subject of the Christmas Lectures they were delivered, if I remember correctly, by Susan Greenfield. Presumably she went on to carry out rigorous, detailed research — fully documented in respected peer-reviewed scientific journals — into the effects on the brain of activities such as video-gaming and internet social networking. Or something like that. The Welsh boyo has arrived. Progress in Great Britain at least. Jerry Coyne gets first hand experience of anti-evolutionism at the chalkface. Meryl Dorey is dangerously deluded. Social glue, or a disastrously stupid collection of bad ideas? We are all "living dyingly". As comprehensive takedowns go, this is as comprehensive as it gets. A favourite writer on a favourite writer. Maybe the time is right for repatriation of some items whose expatriation was made possible by the civilisation from which they were expatriated in the first place. I'm linking to this (belatedly because I've only just found it) not because it's Ada Lovelace but because it's Daphne Oram, whose "Oramics" electronic music machine I saw when I visted the Science Museum on the day I attended the Last Night of the Proms at the Royal Albert Hall this year. Another from YouTube linked by PZ Myers. "The metaphysical claims of religion are untrue." It's been a sad and sobering day. We shall not see his like again. 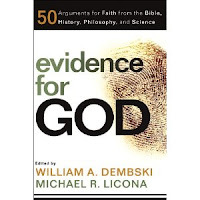 Michael R. Licona, one of the editors of Evidence for God (the other being William A. Dembski) contributes Chapter 33, "Can We Be Certain That Jesus Died on a Cross? — A Look at the Ancient Practice of Crucifixion". Certainty in this matter is apparently important because if Jesus didn't die on a cross he couldn't have been resurrected, and "without a resurrection, Christianity is falsified." So Licona presents "four reasons that support the credibility of the claim that Jesus died as a result of being crucified." The fact that these non-Christians mentioned Jesus in their writings shows that Jesus' death was known outside of Christian circles and was not something the Christians invented. That's stretching it a bit. Licona himself states that the reports were late first century, early second century, early to mid-second century, and second to third century. Even the earliest would presumably have been decades after the event reported, so it's unlikely they were reliable eye-witness accounts. They could even have been second-hand reports based on the same source — but how reliable was that source itself? Maybe the story of Jesus's death was known outside of Christian circles, but the existence of those reports is hardly proof that they are all true. Second, Licona goes into gory detail about crucifixion and concludes that people who were crucified were highly unlikely to survive it. I'm not sure why this needs to be stated — execution isn't something one is expected to survive. 7A number of these are mentioned in Raymond Brown, The Death of the Messiah, Volume 2 (New York: Doubleday, 1994), 1088ff. Now, I'm not disputing that Jesus probably died as a result of his crucifixion, but I have to point out Licona's appallingly shoddy logic in the above claim. What, precisely, does he mean by "unanimous"? Has he consulted every professional medical opinion? Apparently not — he says "a number" are mentioned in his cited reference. It seems therefore that he's using "unanimous" in the sense that all of the professional medical opinions that conclude Jesus died from crucifixion are unanimous in that opinion — which is at best tautologous. Licona may have been perilously close to the edge of logic with that last "reason", but with his fourth he steps right off the cliff. He attempts to use Jesus's post-mortem appearances as evidence for him dying on the cross. This is begging the question. What Licona is trying to establish in this chapter is that Jesus died on the cross, because if Jesus didn't die on the cross he couldn't have been resurrected. Licona can't use the resurrection as proof of the crucifixion and then use the crucifixion to prove the resurrection, because — this is elementary stuff — that's a circular argument. Argumentation of such low calibre is fatal to Licona's credibility here. Dembski should have spiked it. "If you want to use the Bible as a moral guide then you are stuck with it. The text is not infinitely malleable, and you cannot reasonably interpret X to mean not X. Rather than try to twist the text to fit modern moral sensibilities, which despite their denials is precisely what Friedman and Dolansky are doing, why don't we simply discard this particular ancient book and move on to more promising approaches to morality?" Steve Jones on the point of despair as students reject evolution. Maybe I really should learn more philosophy if I want to get to grips with jousts like those Jerry Coyne and Massimo Pigliucci engage in. 100 pictures — the best of photojournalism (some very graphic). * Yeah, he's my dad. Being a confident speaker will go a long, long way towards convincing people that what you say is true. If you behave in a way that says loudly and clearly that of course what you say is true, many people will believe you by default. But with Craig there is always that niggling doubt that his approach to his various arguments for the existence of God rests on something not just unsound but profoundly silly. This video exposes that doubt and parades it for all to see. 4thought.tv: "Should creationism be taught in schools?" Back in June Channel 4's daily two-minute opinion film-clip slot, 4thought.tv, covered intelligent design. I blogged about it at the time, and we covered it on the Skepticule Extra podcast. A couple of weeks ago the subject was "Should creationism be taught in schools?" Young Earth Creationist Sam Scott Perry believes the world is only between 6,000 to 10,000 years old and that dinosaurs roamed the land with humans. Sam thinks creationism should be included in schools in order to allow children to make up their own mind. He believes that humans were formed from dust by God because that's what the Bible says, and wants creationism to be taught in schools in the interests of "fair and objective science." From these and other comments it's clear he has no notion of what science is — he admits that he gained his A* in GCSE Biology by writing the answers required even though he doesn't believe they are true. He believes humans walked with dinosaurs because dinosaurs are land animals and the Bible says that land animals and humans were created on the sixth day. This, according to Sam Scott Perry, is "logical". He also floats a weird conspiracy theory that creationism is not currently taught in schools because of fears it might convince people the Bible is true. Are his views typical of 18-year-old creationists? Perhaps not, but Channel 4 naturally go for the extreme case with which to start off this series. 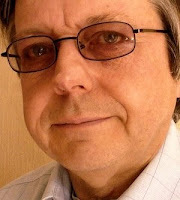 Stephen Law is a Lecturer in Philosophy who believes creationism is scientific nonsense. Stephen says it is wrong to teach children something he thinks is quite clearly false. Creationist Randall Hardy wants children to be taught that God made the world in 6 days and rested on the 7th. Randall thinks evolutionists and atheists fear Creationism being taught in schools because children will find it convincing. Creationists often play the "academic freedom" card, but in schools it's not appropriate to teach something that isn't accepted science. Otherwise the science curriculum would be full of phlogiston theory, the luminiferous aether, the four humours and all sorts of other unscientific stuff like alchemy and astrology. Students are free to investigate pseudo-science after school — they can even go on to study it at university. Randall Hardy displays appalling ignorance of evolution when he talks of cats bringing forth cats, dogs bringing forth dogs. He's also wrong when he claims people when they are born believe naturally in a creator. Leaving aside the fact that the existence of a belief has no bearing on whether that belief is true, what children are born with is an innate tendency to ascribe agency (to inanimate objects as well as people and animals). This is an evolved instinct — it supports evolution rather than creation. Reverend Canon Rosie Harper believes teaching creationism to children is selling them short. Rosie thinks literal interpretations of the Bible are dangerously wrong-headed and risk bringing mainstream Christianity into disrepute. She doesn't want creationism taught in schools, but she's one of those wishy-washy Anglicans about whom one might say, "there but for the grace of God goes an atheist." In this debate however, she's on the right side. Laura Horner is an Anglican and the founder of CrISIS; Creationism in Schools Isn’t Science. Laura started the group after a creationist movement visited her son’s school. Laura believes creationism discredits religion as much as it discredits science. She's a Christian who believes creationism is bad religion as well as bad science, and makes the important point about valid science being falsifiable, while creationism isn't. Muslim Abdul Aziz is a Maths Teacher who believes evolution is not convincing as a scientific theory. Abdul wants creationism presented alongside evolution in the classroom, so that children get the opportunity to make up their own minds. He claims that belief in evolution is based on a "leap of faith" and comes out with the usual creationist micro/macro-evolution objection. His whole argument is one from ignorance — it appears he's never read a book about evolution (I'd suggest The Greatest Show on Earth by Richard Dawkins). He also says (like Randall Hardy) that children should be allowed to make up their own minds, which from a teacher is a shocking misunderstanding of what education is about. A Professor of Science Education at the Institute of Education, University of London, Michael Reiss welcomes open discussion of creationism in the classroom provided it is made clear that it has no scientific basis whatsoever. He complains that some materialist scientists can't understand what it's like to have a religious faith. What he's implying, I think, is that a hard-line atheistic attitude is alienating children with creationist beliefs, to the extent that they will not be open to the scientific evidence. Michael Reiss made similar comments when he was the Royal Society's Director of Education, which caused a bit of an uproar, and shortly afterwards he stepped down from his post. Although the 4thought.tv website makes no mention of it (except, someone has noted it in the comments), Michael Reiss is a minister of religion. Creationism does seem to bring the wackos out of the woodwork, as the comments on these clips show. I posted a brief comment on the first clip, and found myself in a protracted exchange with a user named Phillip, who — though extremely polite — seemed to have no conception of how to distinguish what's true from what's false. More on the "Thanksgiving Family forum", this time from Jerry Coyne. Faith schooling seems like a bad idea in itself, but expecting taxpayer funding is adding insult to injury. PZ explains his no-compromise stand, and though some might feel it's unpalatable, it's the only honest position. This brilliant illustration of opposing mindsets could almost be a fable. Thus spake articulate youth (I wish I'd been so clear-headed at her age). Future education to be based on the wrong model. Unbowed after threats including "we know where you live", Rhys gives his side of the story.